The iconic Point to Pinnacle is on Sunday 19 November 2017, and you now have a choice of doing the Point to Pinnacle, described as the World’s toughest half marathon, or the new and shorter Point to Pub. Whatever you choose, do it as a member of the Triathlon South “Team”. Use the P2P entry link below to go to the entry site and choose Triathlon South as your team. Being part of our team is open to all members and friends of Triathlon South. Will be great to see those Triathlon South running singlets out and about on Sunday 19 November 2017 and popping up in photos, Facebook feeds and on the news reels. Also, the longer P2P distance is also Leg 1 of the King and Queen of the Mountain, an event open to all Triathlon South members. The winners are the Male and Female with the quickest combined times for the run in the “Point to Pinnacle” held on the 19th November and a bike time trial from “Longley to the Pinnacle” which will take place later in the season. Run times will be taken from the official race results as published in the Mercury. 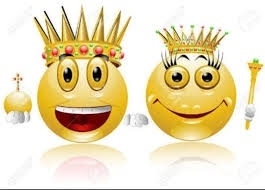 When you have entered, then complete our King and Queen of the Mountain registration we have set up in webscorer so we know your intentions (this will help us track members that wish to be considered in the King and Queen of the Mountain competition from the other 2999 competitors).